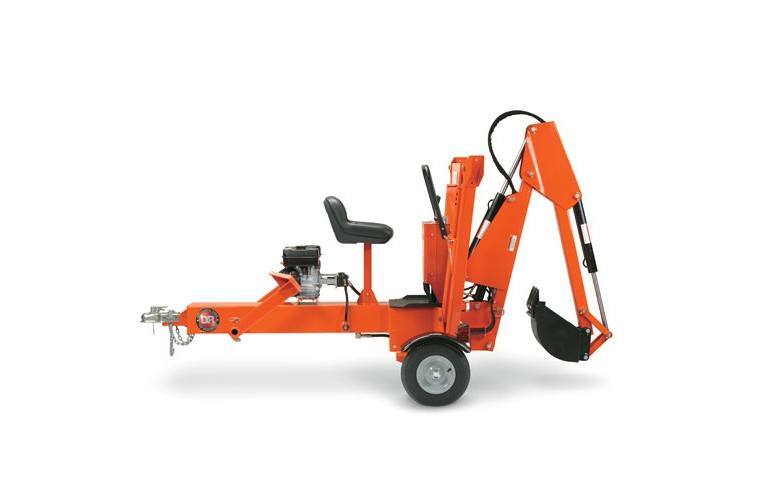 Dig trenches, plant trees, take on landscaping projects, and more with our DR Towable Backhoe. 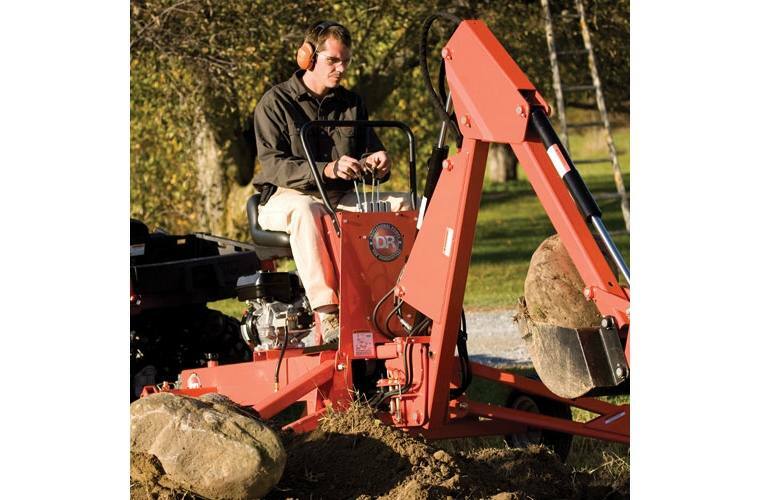 The hydraulic power system is self-contained for use anywhere, on your toughest jobs. For use with ATV or UTV. Unmatched Portability: The DR Towable Backhoe hitches to your pickup truck with a common 2" ball hitch. 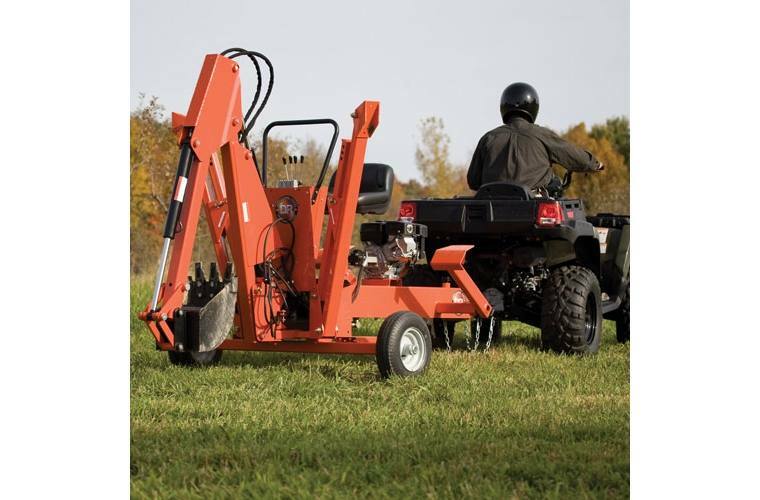 You can also take it off-road with your ATV, UTV, or lawn tractor, allowing you to get to places a farm tractor couldn't go easily or safely. Tires are DOT certified at up to 45 mph. 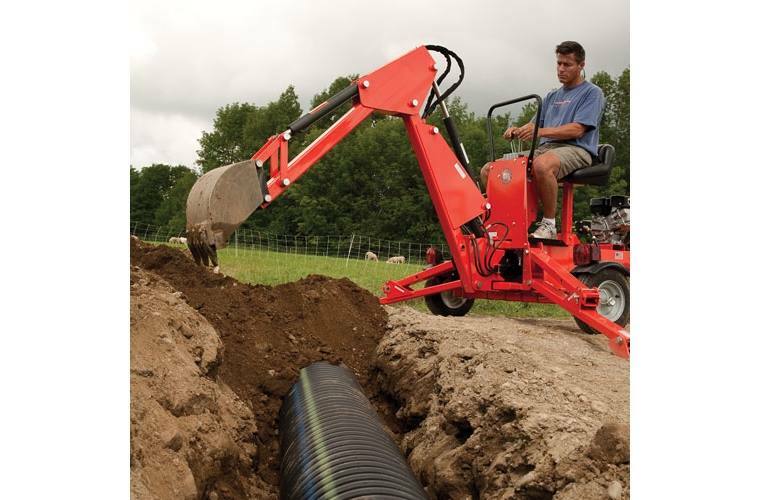 Flexible Design: The DR Backhoe is designed for digging attached to your tow vehicle or free-standing. Working unhitched, for lighter jobs, gives you maximum maneuverability, and means you don't have to tie up your tow vehicle if it's needed for other purposes. For ripping or lifting, you should leave the tow vehicle attached to provide extra anchorage. 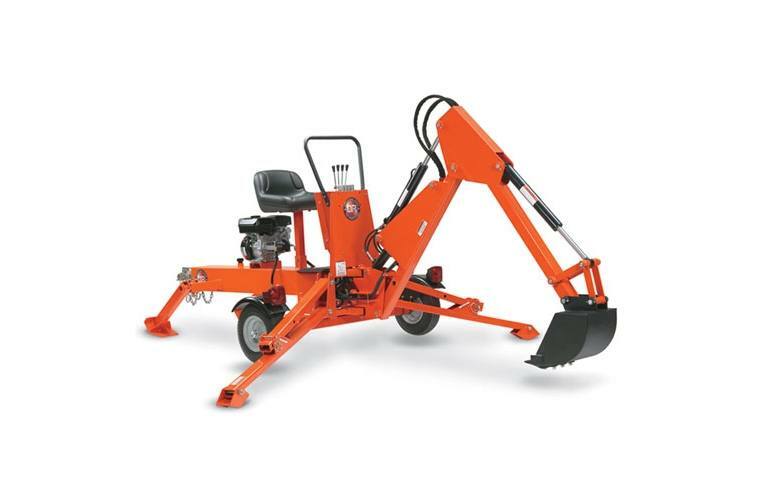 Wide Stance Stabilizer System: Wide stance stabilizer system provides maximum holdback to counter digging force and provide solid platform. Unique foot design enables you to reposition the unit, using the bucket, but resists unintentional "crawl." 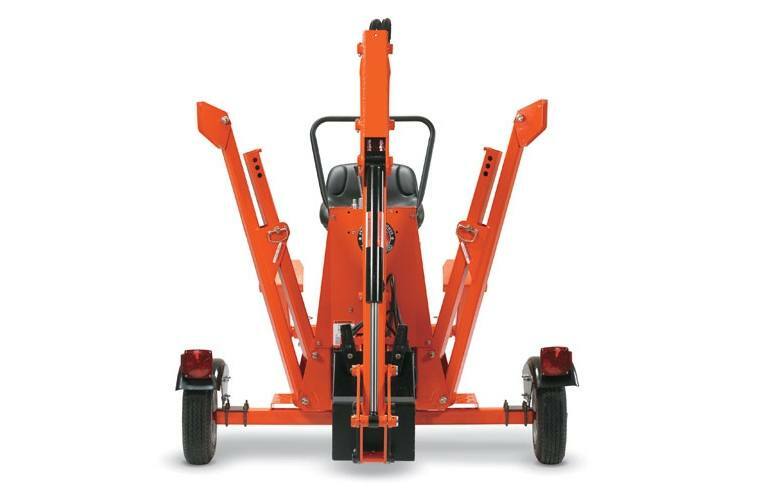 Front stabilizer legs have 3 positions for modifying working height. Rear stabilizer feet skid backward easily but resist forwardsliding. Briggs & Stratton Professional Series Engine: The DR Backhoe uses an easy-starting 14.5 FPT (306cc) XR Professional Series engine with overhead valve and a cast iron cylinder sleeve for long life. Dual Filtration System: Clean hydraulic fluid is essential to any machine powered by hydraulics. With the DR Backhoe, the hydraulic fluid is cleaned twice. First, by the Tank Mounted Strainer (left) and second by the Hydraulic Filter (right). Valve Control Levers: The DR Backhoe's controls are simple and intuitive, allowing you to become a proficient operator with just a little practice. Each lever controls one action: 1) the up-down action of the boom (or "upper arm"); 2) the side-to-side action of the boom; 3) the up-down action of the crowd (or "lower arm"); 4) the curl of the bucket.